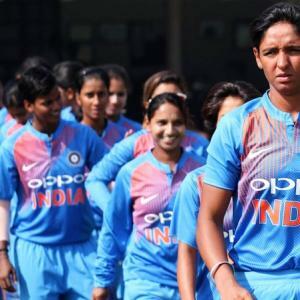 Rediff – IMAGE: India’s remaining leagues games will be against a qualifier and Australia on November 15 and 17.
vIndia will begin their campaign against New Zealand in the ICC Women’s World T20, to be held in the West Indies from November 9 to 24. India’s remaining leagues games will be against a qualifier and Australia on November 15 and 17 respectively. The finalists of the World T20 Qualifier in the Netherlands from July 7 to 14 will add to the line-up of the November tournament, which is the first standalone ICC women’s event in the shortest format. Defending champions West Indies are in Group A along with England, South Africa, Sri Lanka and Qualifier 1 from the Netherlands event, while Australia, India, New Zealand, Pakistan and Qualifier 2 will be in Group B. This venue will also host matches between arch-rivals India and Pakistan and trans-Tasman adversaries Australia and New Zealand.